However, new research reveals that our reactions to stimuli related to physical activity and sedentary behaviors depend on interactions between conscious intentions and automatic processes. Scientists confirm that the human brain is designed in favor of what is known as the "exercise paradox." 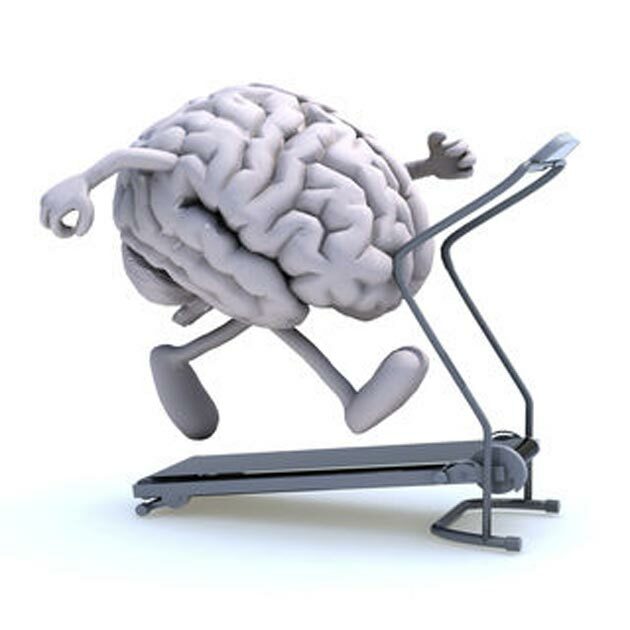 The struggle of getting physically active is real, and it is happening inside your brain! Dr. Matthieu Boisgontier, a postdoctoral researcher at the Department of Physical Therapy's Brain Behavior Lab at the University of British Columbia, led this study along with Boris Cheval of the University of Geneva, and an international team of researchers from the University of Oxford (Eda Tipura), the University of Geneva (Nicolas Burra, Jaromil Frossard, Dan Orsholits), and the Université Côte d'Azur (Rémi Radel). Dr. Boisgontier is also affiliated with the University of Leuven (Belgium) and the Research Foundation - Flanders (FWO). 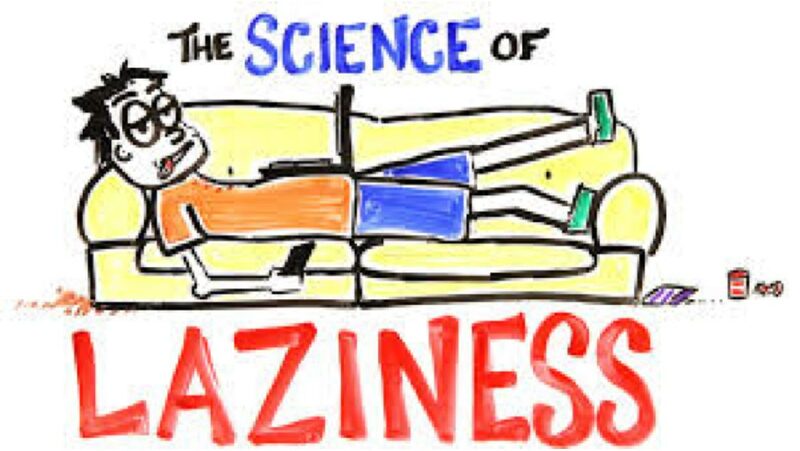 The study published in Sept 2018 reveals cortical secrets behind everyday laziness. For the study, the researchers recruited young adults, sat them in front of a computer, and gave them control of an on-screen avatar. Following this, small images were flashed, one a time, which depicted either physical activity or physical inactivity. Subjects had to move the avatar as quickly as possible toward the pictures of physical activity and away from the pictures of physical inactivity, and then vice versa too. Meanwhile, electrodes recorded what was happening in the participants' brains. It was seen that they were faster at moving toward active pictures and away from lazy pictures, but brain-activity readouts called electroencephalograms showed that doing the latter required their brains to work harder. However, there were some potential limitations as the sample size of this study was small. Also, this research involved individuals who were physically active or those who intended to be active. Future research should examine whether the neural processes underlying approach and avoidance tendencies differ between physically inactive individuals who intend and do not intend to be physically active. In the absence of the intention to be active (i.e., to approach physical activity and avoid sedentary behaviors), sedentary behaviors may not be perceived as a threat. Therefore, sedentary behaviors may not affect conflict monitoring, inhibition, and motor preparation. This study revealed that the processes underlying faster reactions to approach physical activity and avoid sedentary behaviors occur during sensory integration, and not during motor preparation. Results also showed, for the first time, that avoiding sedentary behaviors triggers higher conflict monitoring, and inhibition than avoiding physical activity, irrespective of the usual physical activity level. These findings suggest that higher levels of control are activated to counteract an innate tendency to approach sedentary behaviors. Scientists also suggested that participants were faster at approaching stimuli depicting physical activity compared to sedentary behaviors, whereas the same participants were faster at avoiding stimuli depicting sedentary behaviors compared to physical activity. Moreover, results showed that these behavioral outcomes were influenced by the level of physical activity. Specifically, physically active participants were faster at approaching physical activity compared to sedentary behaviors and also at avoiding sedentary behaviors compared to physical activity. In contrast, while physically inactive participants were faster at approaching physical activity compared to sedentary behaviors, they were not significantly faster at avoiding sedentary behaviors compared to physical activity. These findings suggest that individuals fail to implement their intention to be physically active because they do not manage to avoid sedentary behaviors. The behavioral results reported in the previous section are inconsistent with the fact that most people fail to exercise regularly despite the intention to be physically active. Therefore, investigating the neural mechanisms underlying these reaction-time differences are necessary to understand this discrepancy. This study examined the cortical activity underlying automatic approach and avoidance tendencies toward physical activity and sedentary behaviors. 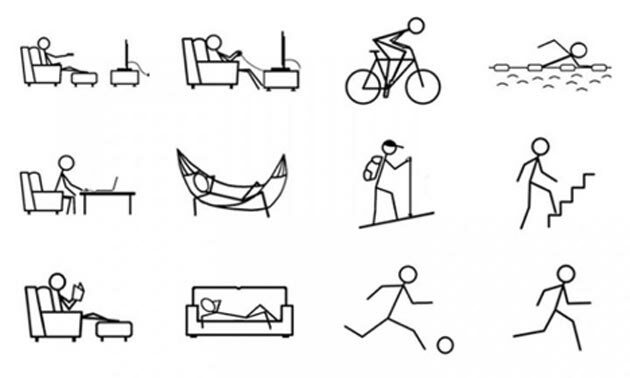 These results also highlight that approaching physical activity and avoiding sedentary behaviors represent congruent conditions (i.e., the intended response supports the required response), whereas avoiding physical activity and approaching sedentary behaviors represent incongruent conditions (i.e., the intended response hampers the required response). However, these cortical outcomes were not significantly influenced by the habitual level of physical activity. Taken together, these findings call for a cautious interpretation of the behavioral results. In addition, the ERP results revealed higher levels of attentional processing, conflict monitoring, and inhibition, when exposed to sedentary behaviors compared to physical activity stimuli, irrespective of whether these stimuli should be approached or avoided. As such, stimuli associated with sedentary behaviors may automatically trigger higher-level mechanisms preparing the individual to overcome this potential threat. To sum it up, the findings revealed that faster reaction times to approach physical activity and avoid sedentary behaviors that are related to processes occurring during sensory integration, not motor preparation. Boisgontier said, "Conserving energy has been essential for humans' survival, as it allowed us to be more efficient in searching for food and shelter, competing for sexual partners, and avoiding predators." He added, "The failure of public policies to counteract the pandemic of physical inactivity may be due to brain processes that have been developed and reinforced across evolution." Researchers, who are interested in human evolution and ecology, often focus on energy expenditure because energy is central to everything in biology. One can learn a lot about any species by measuring its metabolism: life is essentially a game of turning energy into kids, and every trait is tuned by natural selection to maximize the evolutionary return on each calorie spent. Ideally, the study population lives in the same environments in which the species originally evolved, where the same ecological pressures that shaped its biology are still at work. That is difficult to achieve with human subjects because most people are divorced from the daily work of acquiring food from a wild landscape. The question now is - can people's brains be re-trained? Boisgontier added, "Anything that happens automatically is difficult to inhibit, even if you want to because you don't know that it is happening. But knowing that it is happening is an important first step."